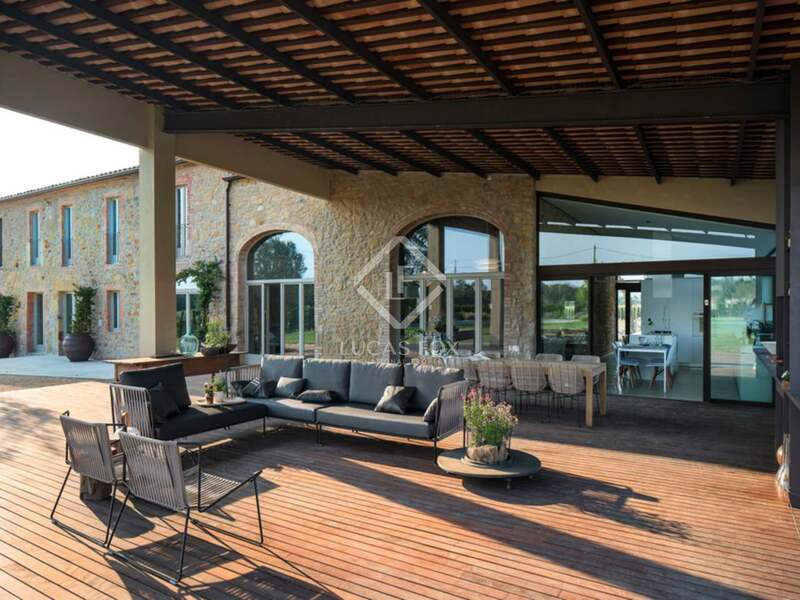 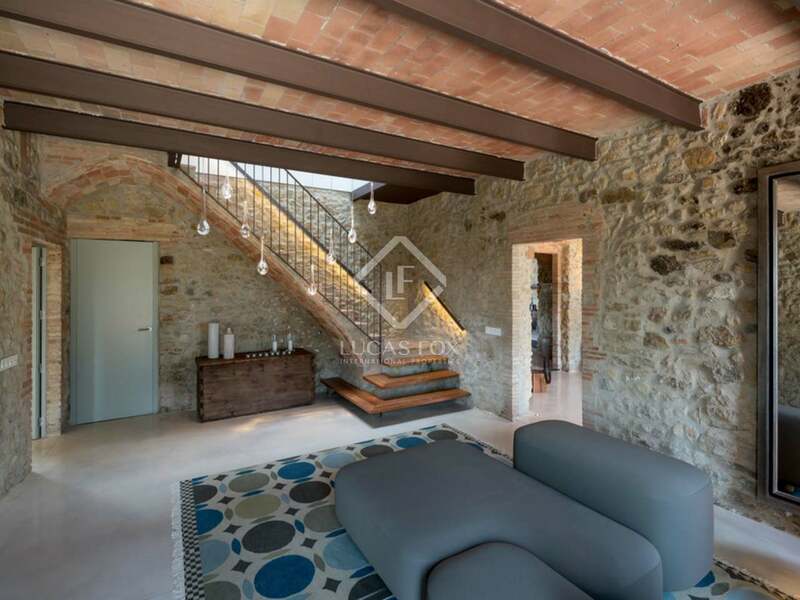 This beautiful and unique 6-bedroom masia is for sale in Pals in the Baix Empordà, in the province of Girona. 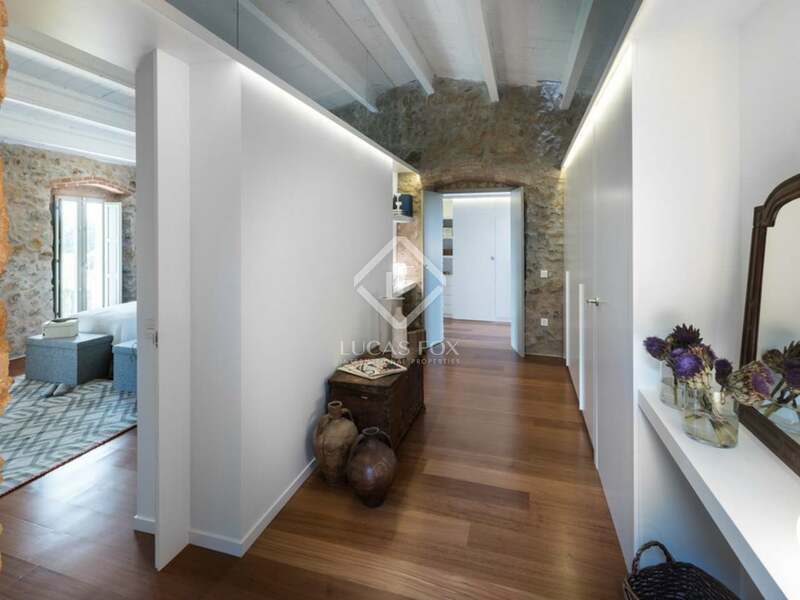 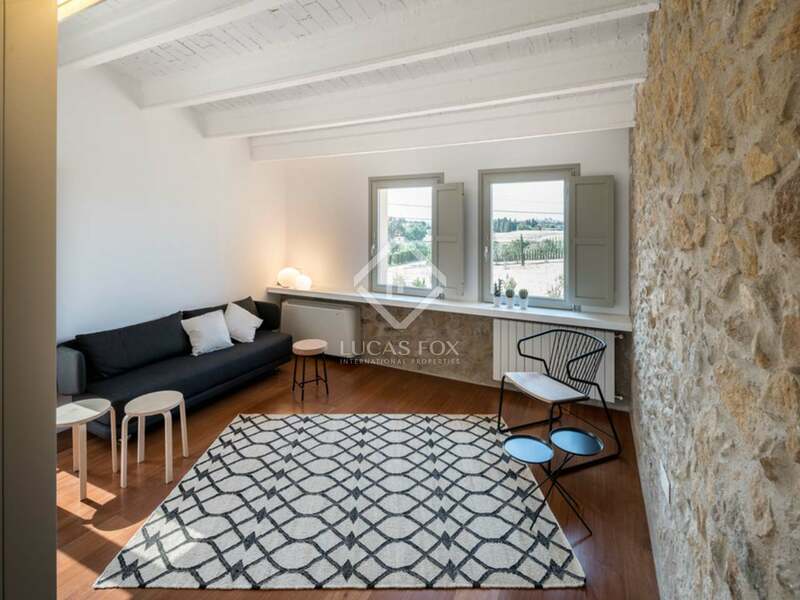 It dates back to 1850 and is presented completely renovated, in brand new condition. 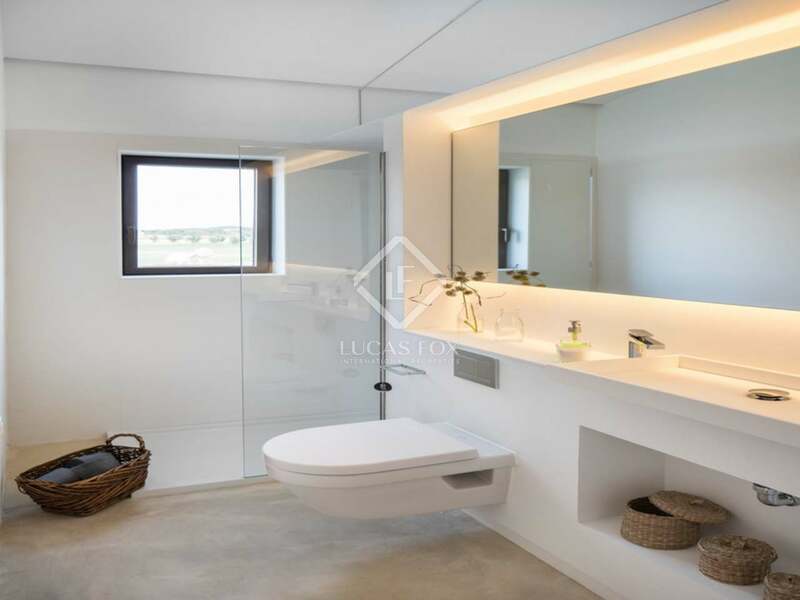 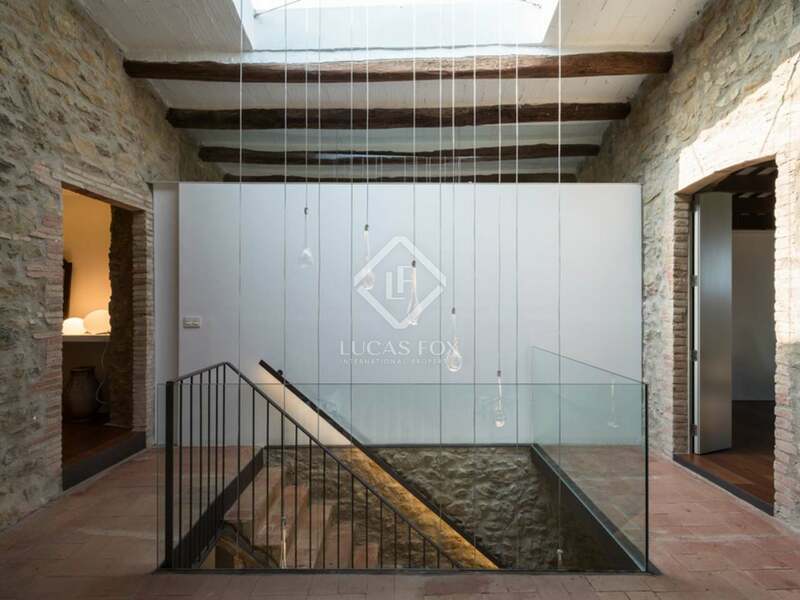 It is located on a plot of 26,000 m² and offers a total built area of 729 m², distributed on the ground floor and first floor. 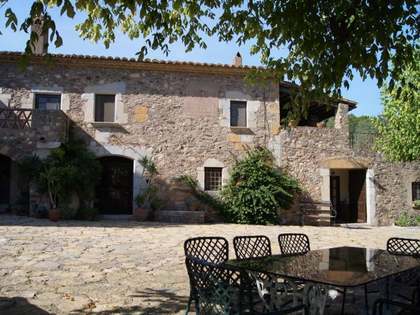 We access the masia from the road through a beautiful iron fence and a nice tree-lined path. 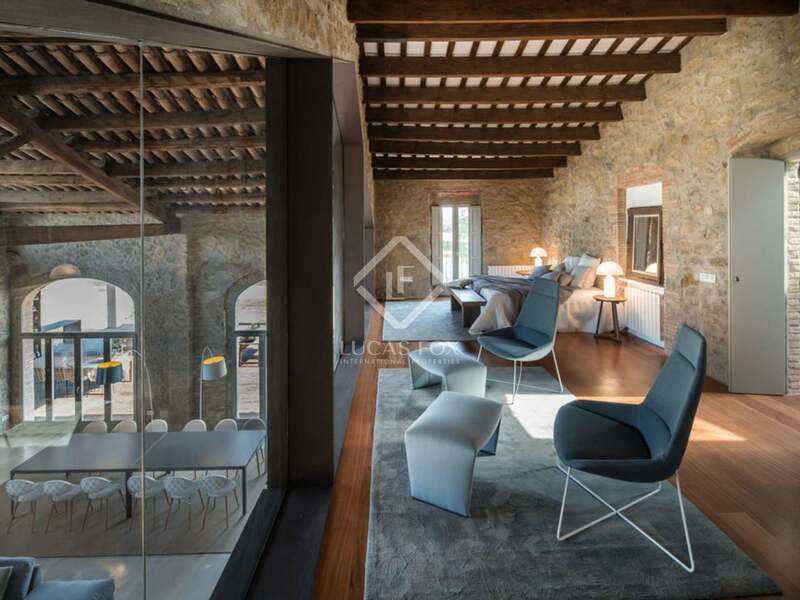 The main entrance is on the ground floor, which welcomes us with an entrance room that serves as a hall leading to the other rooms. 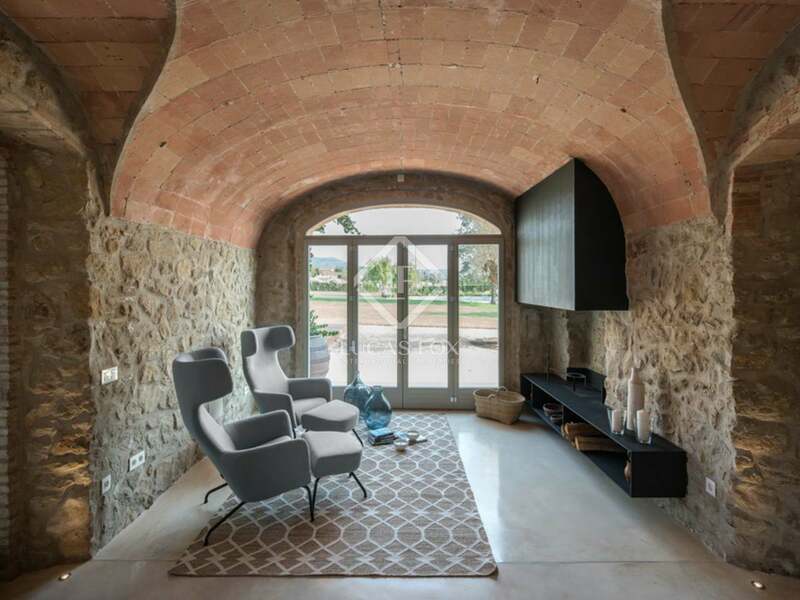 At the back of this room is the machine room and garage for 2 cars, on one side we find a large bedroom with Catalan vaulting with a living room and private bathroom, and on the other side of the hall is a library with a fireplace. 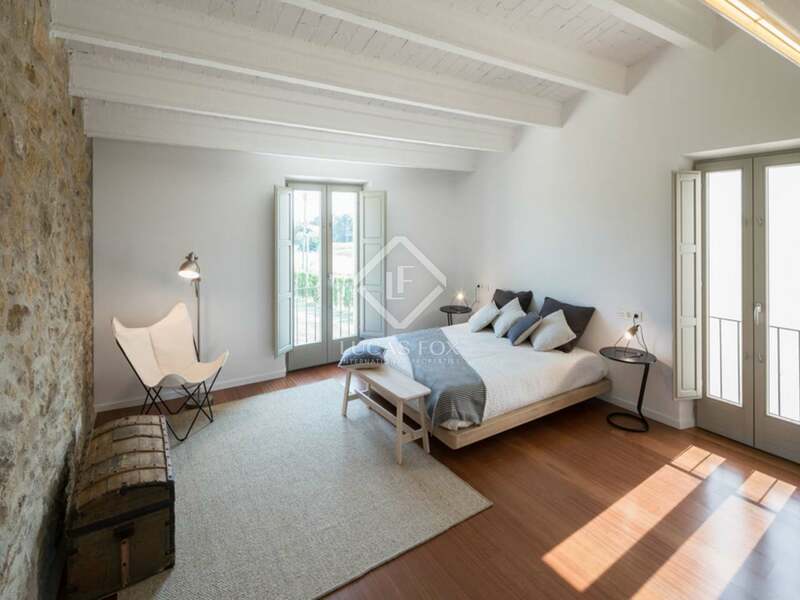 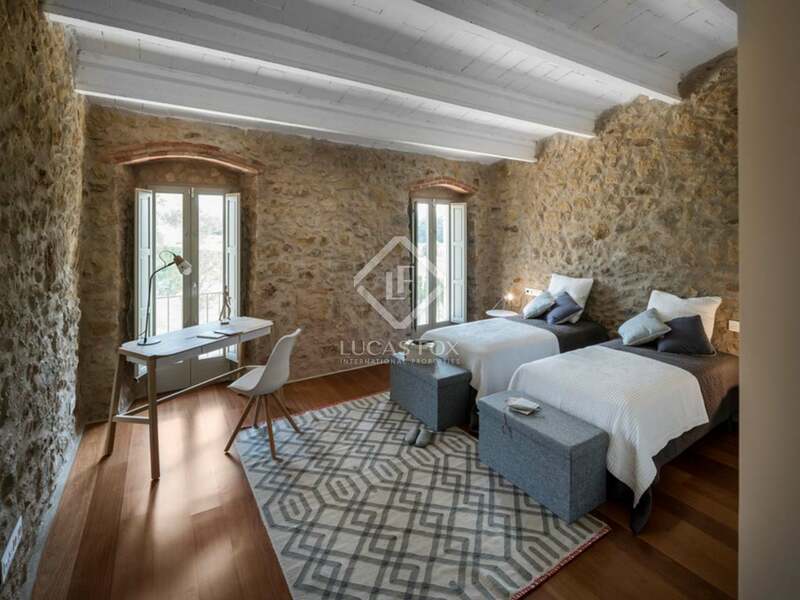 Both the bedroom and the library have access to the cellar, also with Catalan vaulted ceilings. 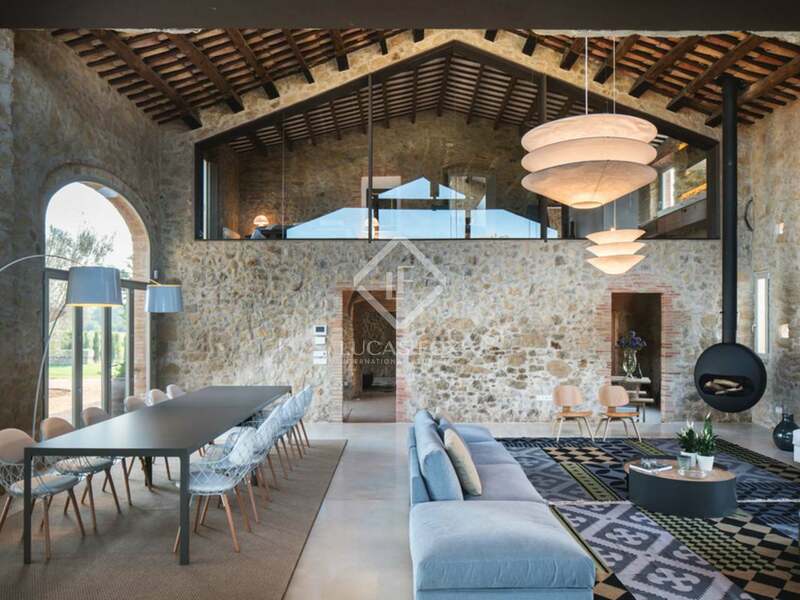 Next we come to the main living area with double height ceilings with wooden beams, a central truss and large windows that let in plenty of natural light. 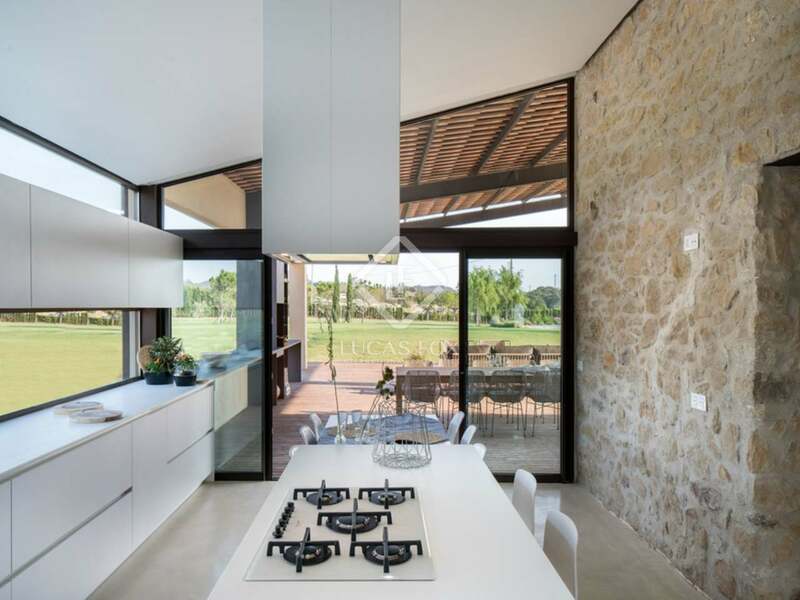 This room has a living area with a fireplace and an open kitchen diner. 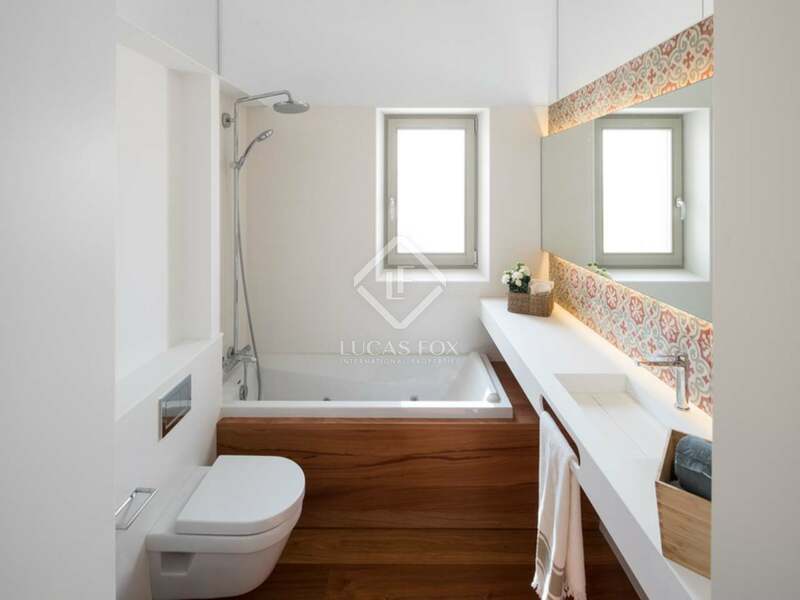 Behind the kitchen we find a toilet and a service area with pantry and laundry room, with its own separate entrance. 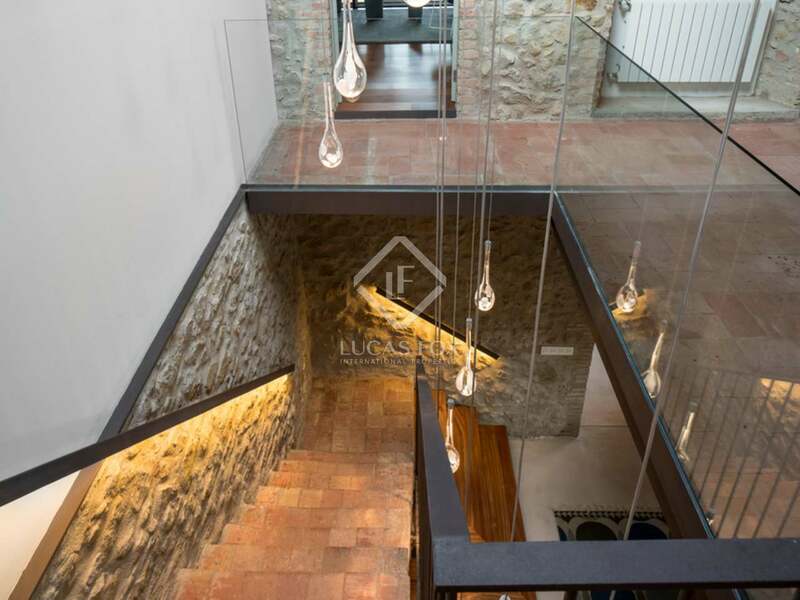 The stairs in the entrance hall lead us up to the first floor. 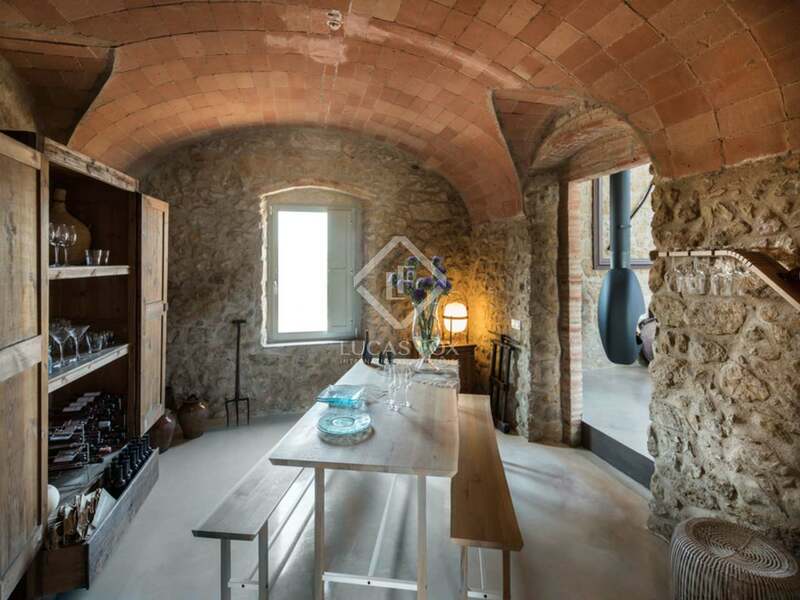 This floor has a large landing / study with the original hand-made clay brick flooring. 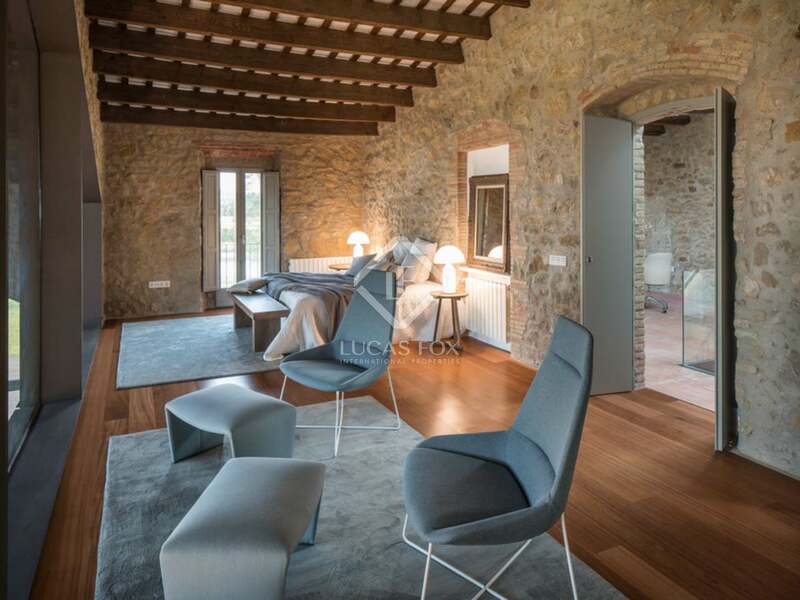 This space leads to the master bedroom with sloping wooden ceiling beams, with a private bathroom, dressing room and living area which looks out through a stunning glass wall overlooking the living room of the ground floor. 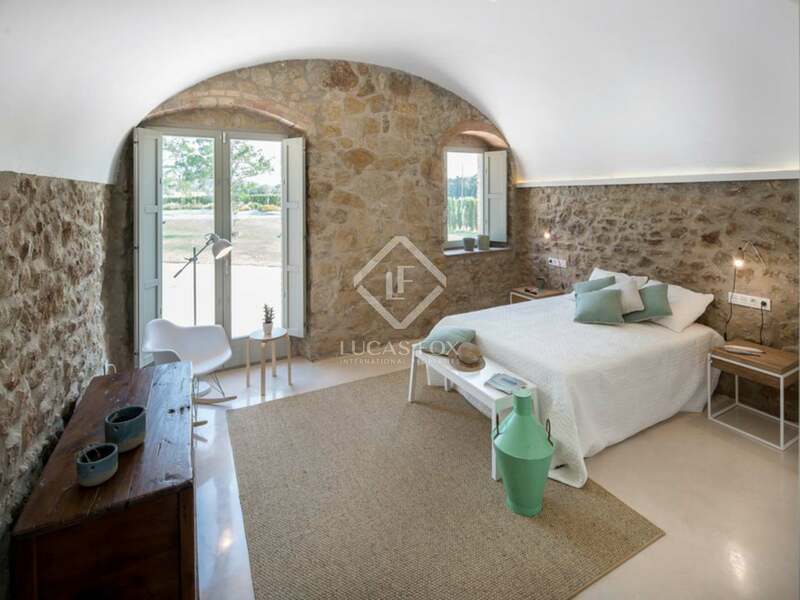 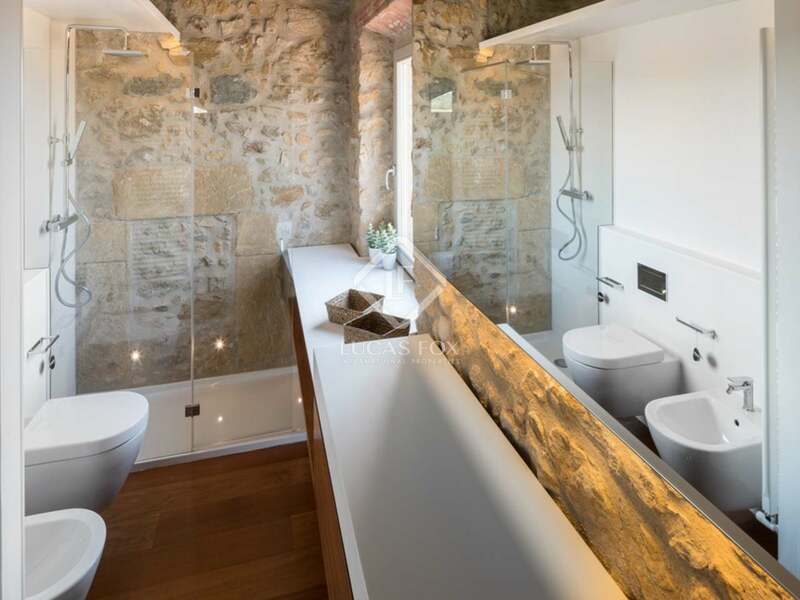 In addition, the bedroom also enjoys magnificent views of the Empordà from the top of a stone wall. 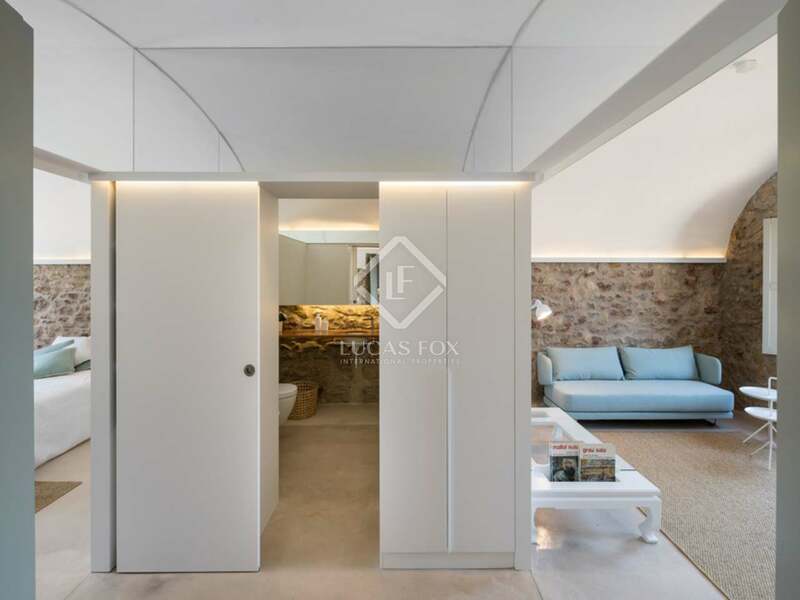 The first floor is completed by a lounge / hall, a double bedroom, a bathroom and another bedroom with en suite bathroom, dressing room and lounge. From the spectacular lounge on the ground floor we access a spacious outdoor porch with seating area, summer dining and barbecue area. 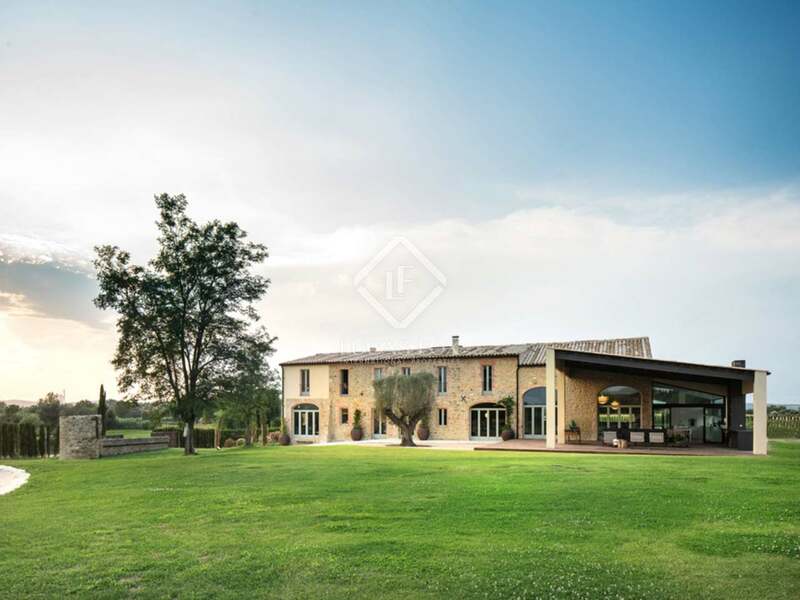 Here we find the attractive pool with its sun terrace with spectacular views of the exterior of the house and the Empordà. 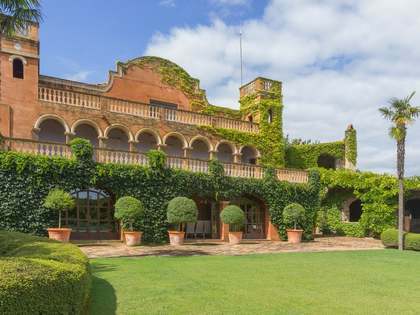 What's more, a car park will be created to the rear of the house. 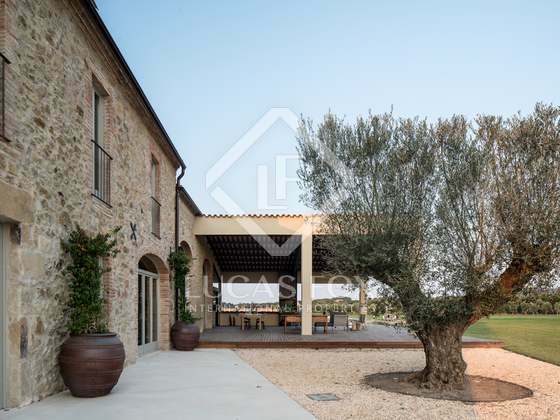 The spectacular exterior of the property features a well, a large pond with capacity for 450,000 litres of rainwater, 6,000 m² of meadow, and 10,000 m² of lawn with sprinkler irrigation, olive trees, vineyards, cypresses, pines and numerous fruit trees. 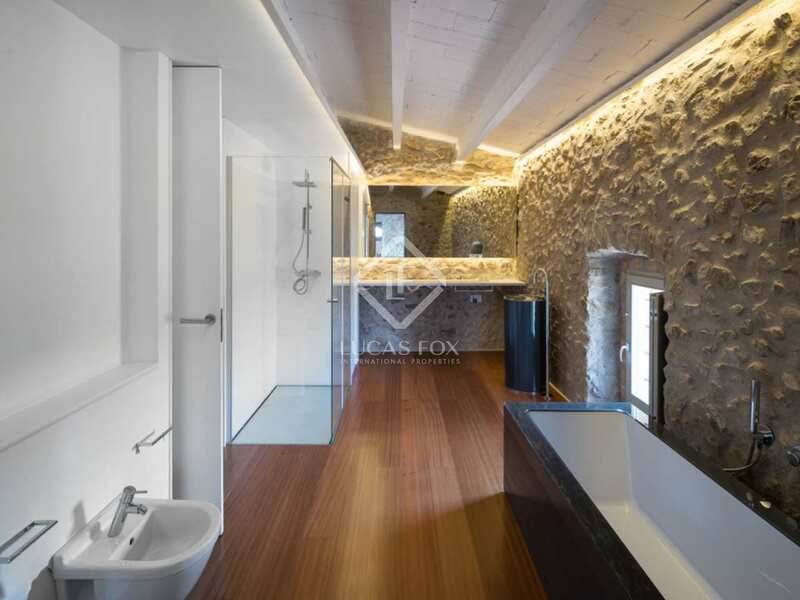 The masia has been designed to remove architectural barriers, in order to create free flowing spaces. 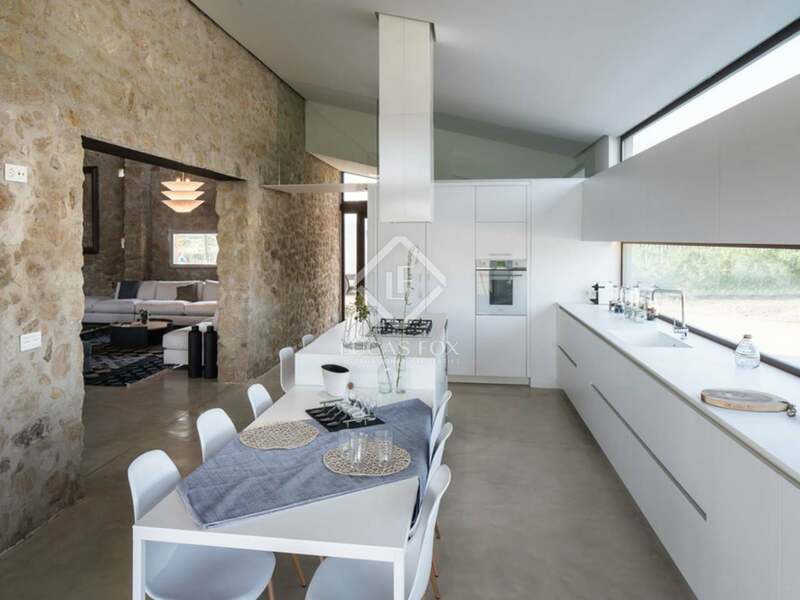 Furthermore, the house is designed following the criteria of sustainability and has thermally insulated roofing and floors, new windows and balcony doors with thermal break and double glazing, solar panels for hot water and LED lighting. 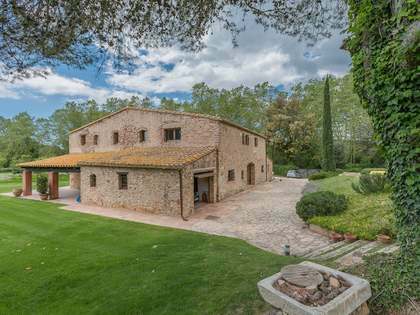 A fantastic opportunity to acquire this beautiful and unique masia, in an ideal natural environment in Baix Empordà. 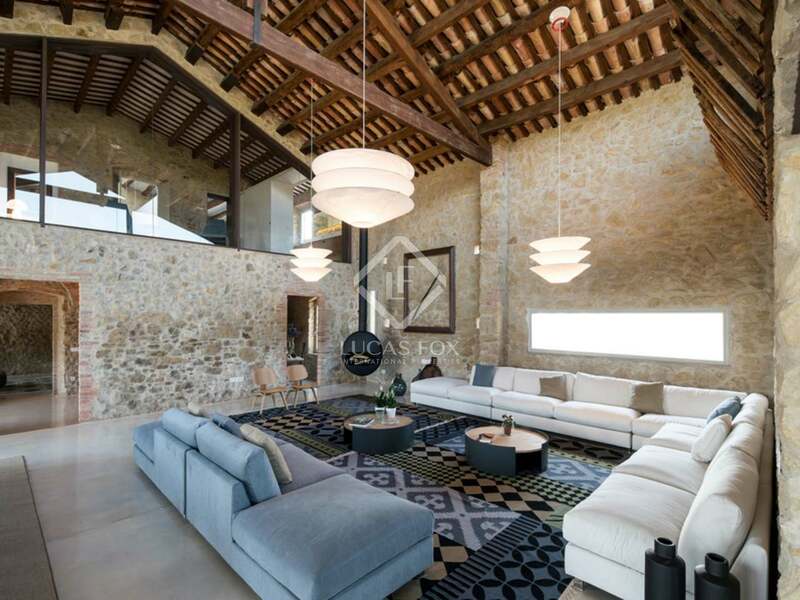 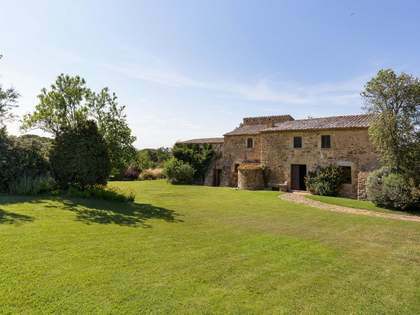 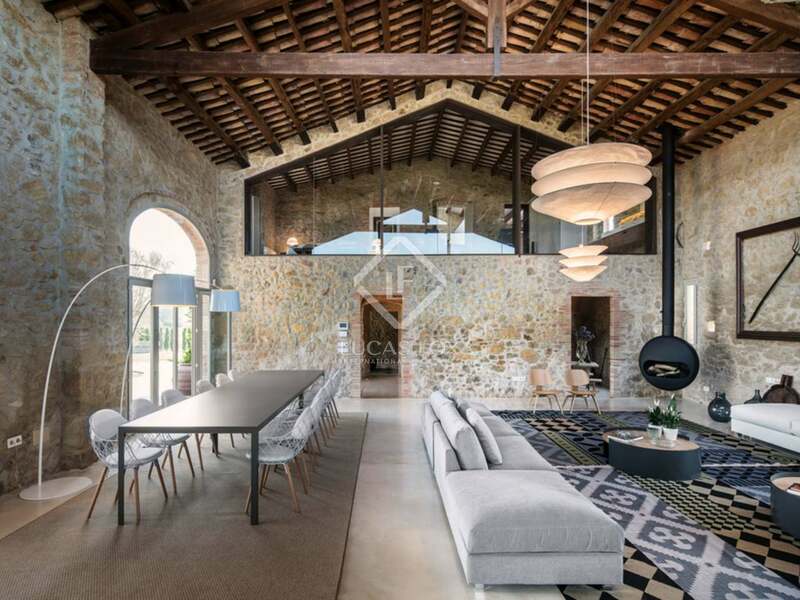 This wonderful masia is located in the medieval village of Pals, in Baix Empordà, within the province of Girona. 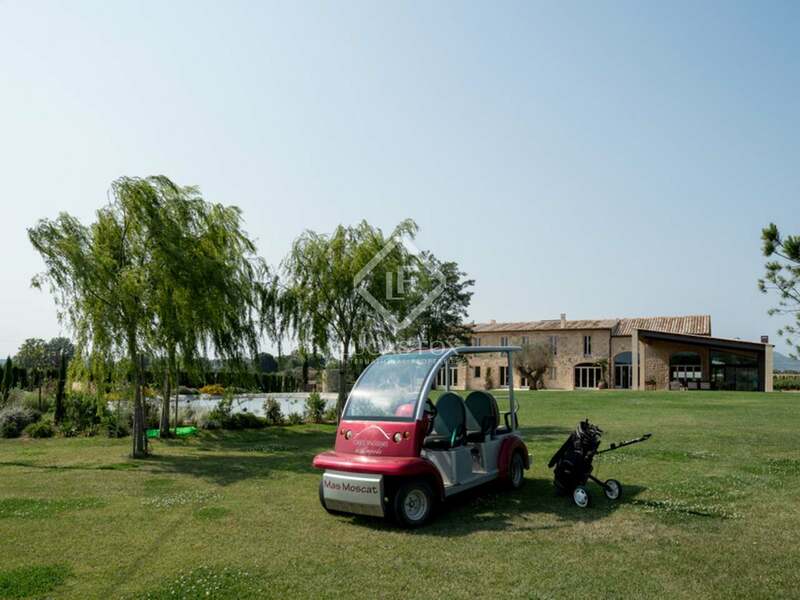 It is close to some of the best beaches of the Costa Brava and a golf club.